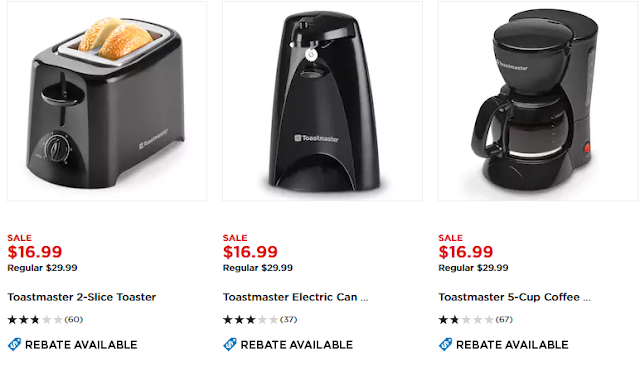 Savvy Spending: *HOT* Kohl's Toastmaster Small Appliances for just $2 through tomorrow! In stores and online! 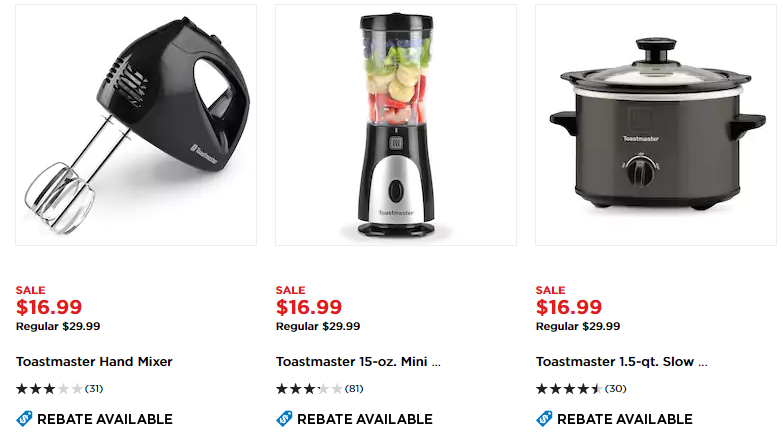 *HOT* Kohl's Toastmaster Small Appliances for just $2 through tomorrow! In stores and online! Kohl's has some HOT deals on select kitchen appliances-- they are on sale for $16.99 (regularly $29.99), plus they come with a $12 Kohl’s Visa Prepaid Card (limit 5 rebates per product per household), and qualify for Koh's Cash. You can also save 15% off your entire purchase with code SAVEBIG15 at checkout. And if you start at Top Cash Back, you'll earn an additional 3% cash back!! MONEYMAKER DEAL: Or, you could choose four of these appliances to get over the $50 mark AND earn $15 Kohl’s Cash! They will still work out to be about $2.5 each, or $10 total, because you can submit the rebate up to 5 times per household! It's a moneymaker because you'll earn $15 in Kohl's Cash! The rebate is only valid for purchases made 11/23-11/24, in stores or online, and rebates must be postmarked by 1/8/18! Even if you don't need these for your house, stock up on wedding shower gifts, gifts for a graduate going to college, housewarming present, etc!